Most diets fail. Well, honestly, almost all diets fail. The question we must ask is “why?” Do we just need to be stronger, have more willpower, or better discipline? Maybe if we had more of those things or a “better relationship with food” we’d be able to stick with healthy changes over the long haul, right? Wrong. We are told this story again and again, and despite our best efforts, we’re still fat, sick, and broken. Here’s the deal: It’s not a personal failing to find modern foods, and habits irresistible. We are genetically wired to eat more and move less — the exact opposite of what we are frequently told. It’s not our fault we are in this situation, but we do need to do something different if we want a different outcome. 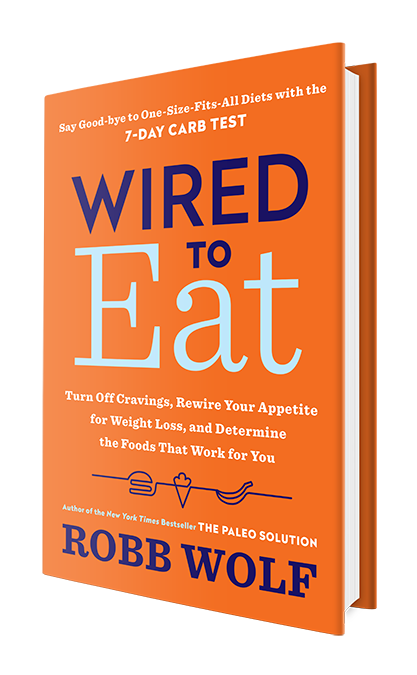 With Wired To Eat you’ll embark on a program to rewire your appetite and regain your health. We will start with a 30 Day Reset that will normalize the neuroregulation of appetite and help us not only to eat the right amount, but also begin to appreciate simple but delicious meals. After the 30 Day Reset we will use the 7 Day Carb Test to map what specific carbohydrate foods we do best (and worst) with. This will move us beyond one-size-fits-all dietary dogma and into the modern world of Personalized Nutrition. This system will help us take advantage of the amazing machinery that is our human body by using the latest behavior change strategies and simple biometric tracking. We will also look at one of the most powerful, yet underutilized dietary tools — the ketogenic diet. Although not a panacea, the ketogenic diet may be one of the best options available to address a host of health issues, from type 2 diabetes to neurodegenerative disease. The ancient Greek Aphorism “Know thyself” is a simple yet powerful tool of liberation. The intent is straightforward: If you understand yourself (how you are Wired to Eat) you can begin the process of making the changes you desire. Robb Wolf is a former research biochemist, health expert, and author of the New York Times bestseller The Paleo Solution. 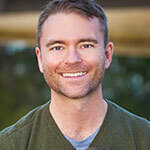 He has been a review editor for the Journal of Nutrition and Metabolism and Journal of Evolutionary Health; serves on the board of directors of Specialty Health medical clinic in Reno, Nevada; and is a consultant for the Naval Special Warfare Resilience Program. Wolf is also a former California State powerlifting champion and holds the rank of blue belt in Brazilian Jiu-Jitsu. He lives in Reno, Nevada with his wife Nicki, and daughters Zoe and Sagan.